I'm on the A Jillian Vance Design blog today with a step-by-step guide for this card. I used one edge of a bookmark die to make the pretty, tiny stitched and scalloped border on my focal panel. 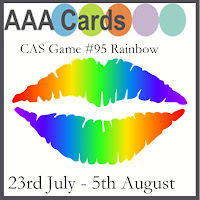 I am also linking up to the CAS Rainbow challenge at AAA Cards. What a delicate but stunning card Ardyth - the bookmark edging is perfect with the daisies. Delightful! Love those rainbow daisies. 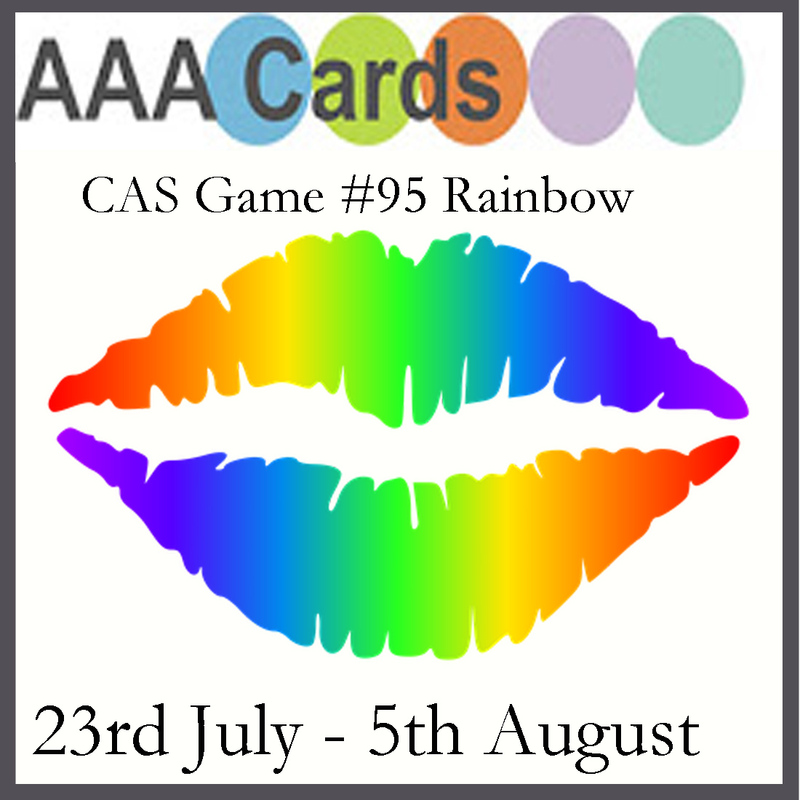 Thanks for playing at AAA Cards. I love those bits of color that add stunning brightness to your card. Fabulous. So pretty! I love the stickles on the colored dots. It just makes the colors really pop. Thanks for sharing at AAA Cards. Such pretty rainbow glitter flower centers. Thank you for sharing with us at AAA Cards.